This has become one of my go-to recipes. The family just loves it. I found it on allrecipes.com and it’s really easy and versatile. 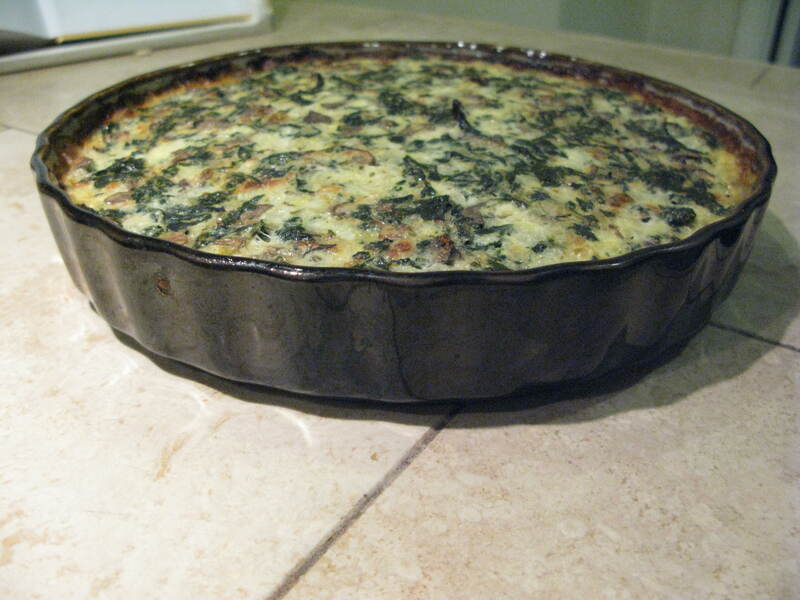 This time I used swiss chard instead of spinach, yellow onions instead of green onions, cottage cheese instead of ricotta, fresh herbs instead of dried, and a mix of chicken and duck eggs. Yum! In a large bowl, whisk together all ingredients until well mixed. Spray a 9-inch pie plate with cooking spray and fill with the spinach mixture. Bake for 30 minutes, or until browned and set. Let cool for 20 minutes, cut in wedges and serve. This sounds really good. I’ve never had a duck egg. How would you describe it? They are a little richer than chicken eggs. The yolk to white ratio is higher. The frittata fluffed up a lot more than usual.